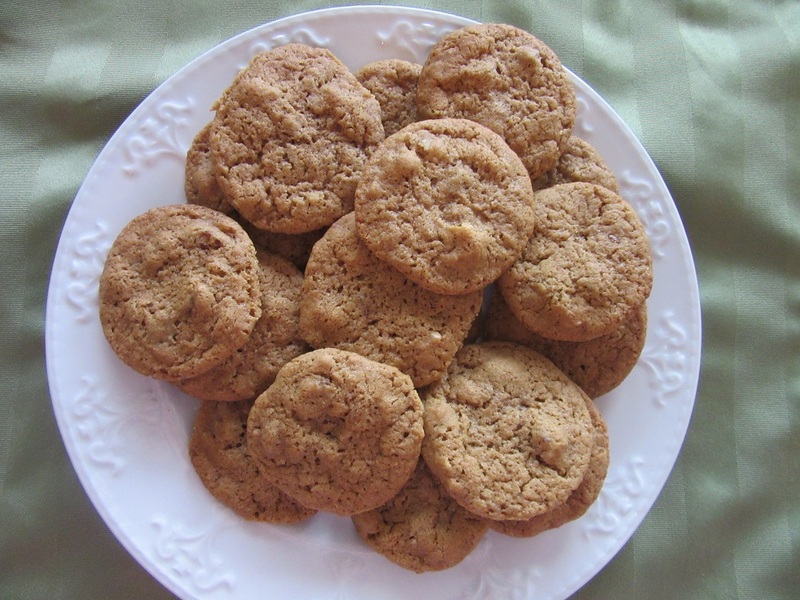 The Autumn season brings us its own kind of cooking and that includes cookies. Darker, denser cookies full of dried fruits, nuts and plenty of spicy goodness. Nope, this sure isn’t light and fluffy lemon bar weather. These beauties are a little bit crisp and a little bit chewy. Wonderful with that well deserved afternoon hot cup of tea, or to give to the kids after school with a big glass of ice cold milk. I made these cookies yesterday because I had my car inspected. Yes,believe it or not, there is a correlation. Bernard Backmair is the auto mechanic down the road from where we live. Nice, maybe 40 year old guy who works his tail off. Has a wife and a couple of little girls. Doesn’t speak more than 3 words of English but he has saved the day for us several times since we arrived in Bavaria when Dan and I both had unexpected car problems. He made sure he could fit us into his already hectic schedule and when we thank him he repeatedly says “kein problem,” or “no problem.” I took my car in yesterday and decided I would bake him a batch of cookies as a way of thanking him for always helping us out. I no sooner had packed them up to deliver them to him when my doorbell rang. It was Bernard who had walked to our house to try and explain something regarding the car. Oh….he stuttered and stammered and stared at the ceiling trying to tell me something. Between me finally understanding a few words ( I don’t speak automobile) and all kinds of charades, I figured out he needed the car registration paper before he could proceed with the inspection! That solved, he turned and walked back to his shop. I really think I should have made him a double batch! Let’s get started building some cookies! If you are a lover of "warm" spices like ginger, cloves, cinnamon and nutmeg, then look no further. These cookies are for you. Add in some nuts and chopped dates and let me tell you, there is nothing wrong with these! 1/2 Tsp ground Nutmeg fresh grated is best if you can. Pre-Heat Oven to 375. 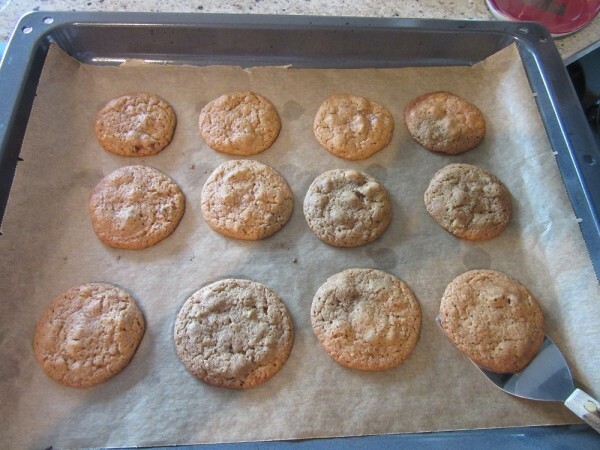 Grease cookie sheets or use parchment paper which is my new love. 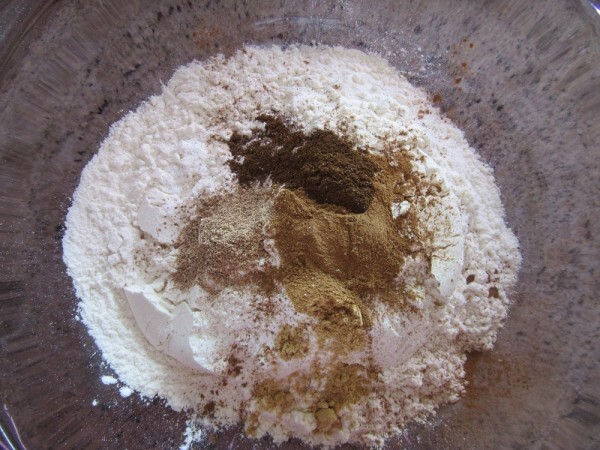 In a medium size bowl stir together all the dry ingredients. Oh...those spices smell so nice! 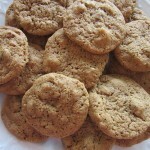 Using an electric mixer, mix together the Butter, Shortening, Brown Sugar and Egg until well combined. 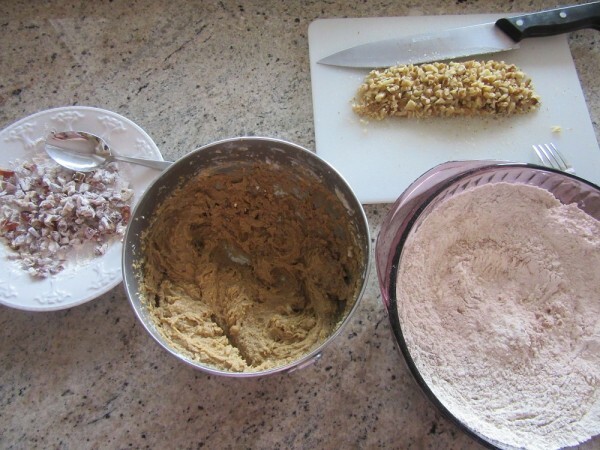 Then slowly add the dry ingredients to the wet ingredients and mix them together using a Spatula or a big spoon. Don't use your electric mixer. 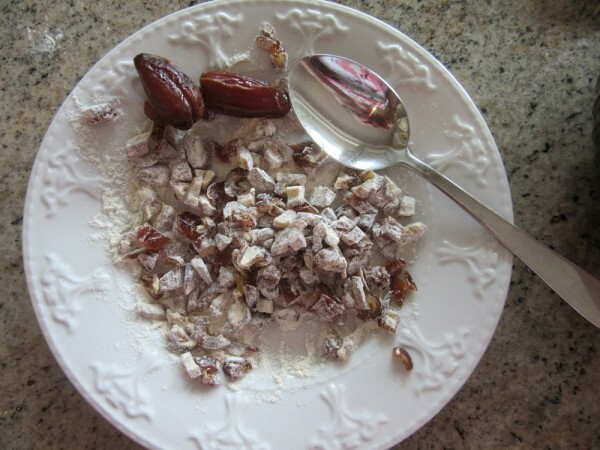 Dust the Dates lightly with a spoonful of flour. This keeps them from sticking. Then add the Dates and the diced Walnuts to the cookie batter and stir until combined. 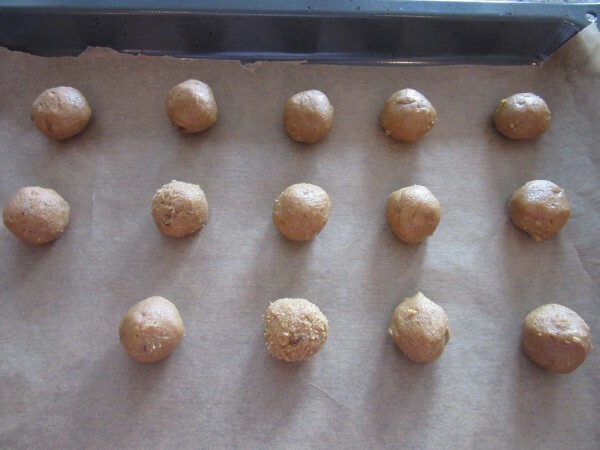 Pinch off a piece of dough and roll it into 1 inch balls. Place the balls 2 inches apart of the greased cookie sheet. I really love using Parchment Paper but it's your call. They spread while baking. Lightly press down on the cookie using your finger to oh-so-slightly flatten. Bake at 375 degrees for 10-12 Minutes or just until golden brown around the edges. Careful not to over bake. They go from "done" to "over done" very fast. Cool on a wire rack for 5 minutes then make that cup of tea. Grab a couple of still warm cookies, inhale the aroma and take a big bite. Enjoy!